The way Steve Zapotosky sees it, nobody fights harder for trade unionists than Sen. Bernie Sanders (I-Vt.). "Bernie's our guy," the 74-year-old retiree said Monday morning after watching the Democratic presidential candidate deliver a speech in hardscrabble Youngstown, Ohio. 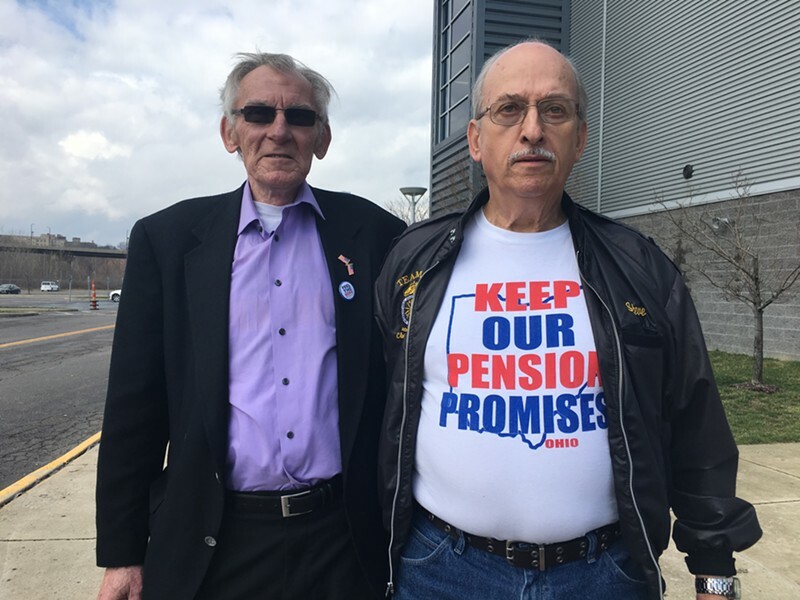 Wearing a black International Brotherhood of Teamsters jacket over a white "Keep Our Pension Promises" T-shirt, Zapotosky recalled the many times Sanders went to bat for his union. He looked guilty about what he said next. "I'm sorry to say, tomorrow I'm not going to vote for him, though. I'm going to vote for Trump to knock our governor out of the box," he said, referring to New York real estate mogul Donald Trump and Ohio Gov. John Kasich, both Republicans. "Then, in November, I'll vote Democrat, because I am a Democrat." That's bad news for Sanders, who is counting on blue-collar voters such as Zapotosky to push him over the finish line Tuesday in Ohio's presidential primary. A new Quinnipiac University poll released Monday morning showed him gaining on former secretary of state Hillary Clinton but still trailing her in the state by a margin of 51 to 46 percentage points. 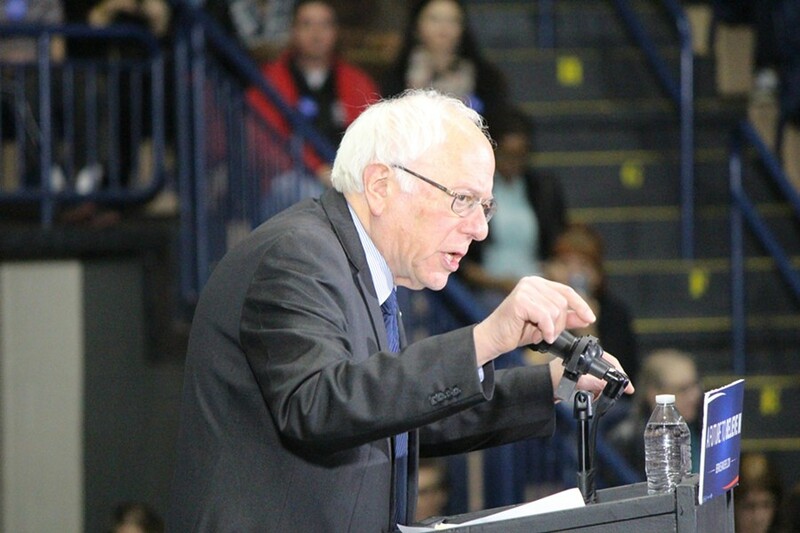 Sen. Bernie Sanders speaks Monday in Youngstown, Ohio. 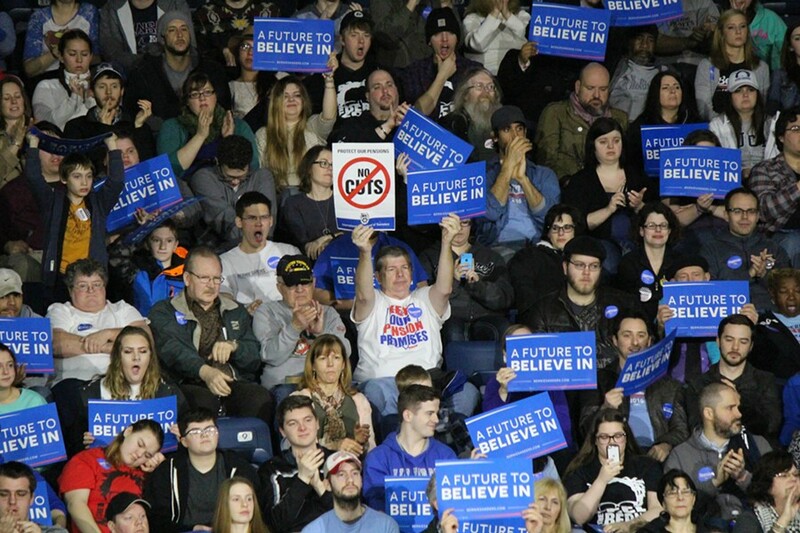 Sanders came to Youngstown, a potent symbol of economic dislocation, with a clear and simple message: He was the only candidate in the race who had fought the North American Free Trade Agreement and other such accords, which he blamed for the loss of more than 300,000 jobs in Ohio. "A key difference between Secretary Clinton and myself is, not only did I vote against every one of these disastrous free trade agreements, I helped lead the opposition," Sanders told supporters in a quarter-filled arena next to the Mahoning River. The Vermont senator's remarks were in keeping with the more aggressive tone his campaign has taken in the nearly two weeks since he fell far behind Clinton in the delegate count on Super Tuesday. Sanders spent the early months of his campaign avoiding direct confrontation with Clinton, but on Monday he appeared eager to point out what he called their "profound" differences. Sanders continued to criticize the support pro-Clinton super PACs had gleaned from corporate interests — and he again called on his rival to release the transcripts of paid speeches she gave to Wall Street bankers. But his criticism of Clinton's record on trade cut the deepest. "When it came down to whether to stand with corporate America, the people who wrote these agreements, or whether to stand with the working people of this country, I proudly stood with the workers," Sanders said. "Secretary Clinton stood with the big-money interests." Michael Charney, a retired teacher and union official who attended the forum, said he couldn't agree more with the distinctions Sanders drew. He praised the senator for leading the "principled opposition" to free trade and condemned Clinton for what he called "last-minute opportunism" in coming out against the Trans-Pacific Partnership after supporting the Asian trade deal as secretary of state. "She was first favorable to the TPP and then she’s against it. She says there needs to be changes to NAFTA," Charney said. "But, in fact, I think that Bernie's success has forced her to take positions that are in the mainstream of the Democratic Party, as opposed to the so-called Third Way corporatist alignment that her husband and she championed for decades — until they were essentially ideologically defeated." After speaking in Youngstown and Akron, Sanders was scheduled to touch down in every state voting Tuesday except Florida. His whirlwind tour would bring him to Charlotte, N.C., St. Charles, Mo., and Chicago, Ill., where he was planning to hold a late-night, pre-election rally.